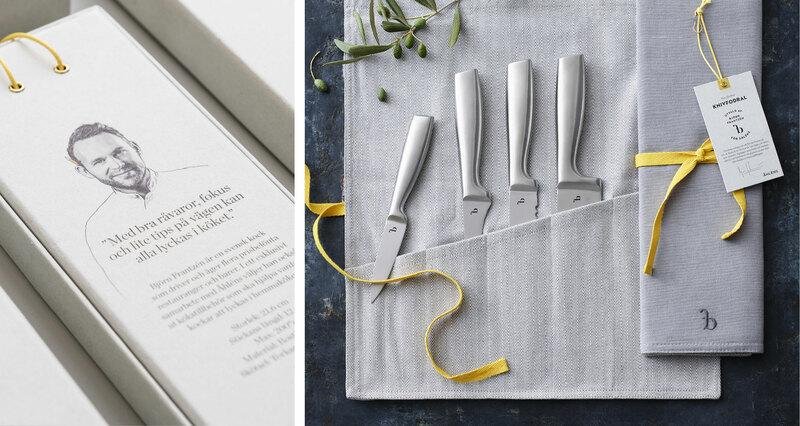 Åhléns has launched a kitchenware collaboration with chef Björn Frantzén. 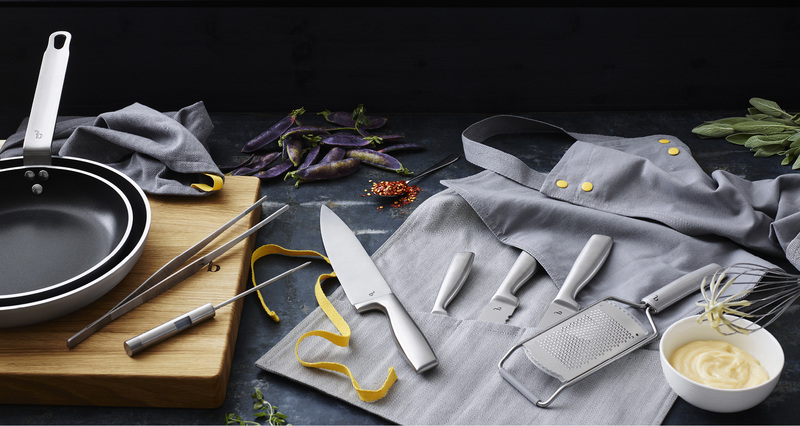 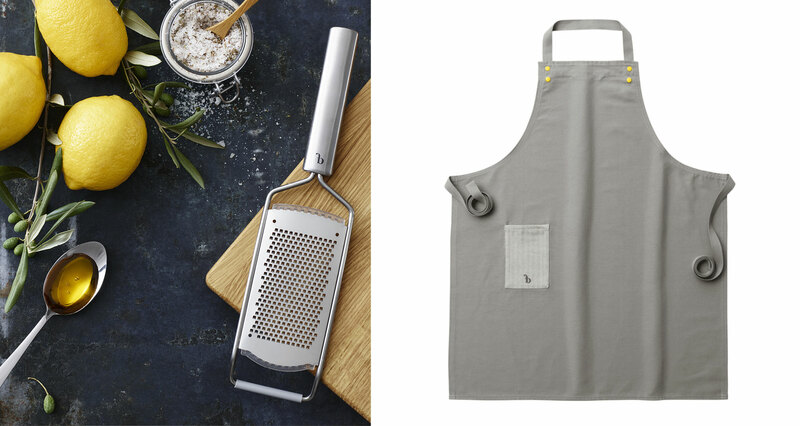 The range includes tools and textiles that will make it easier to succeed in the kitchen. 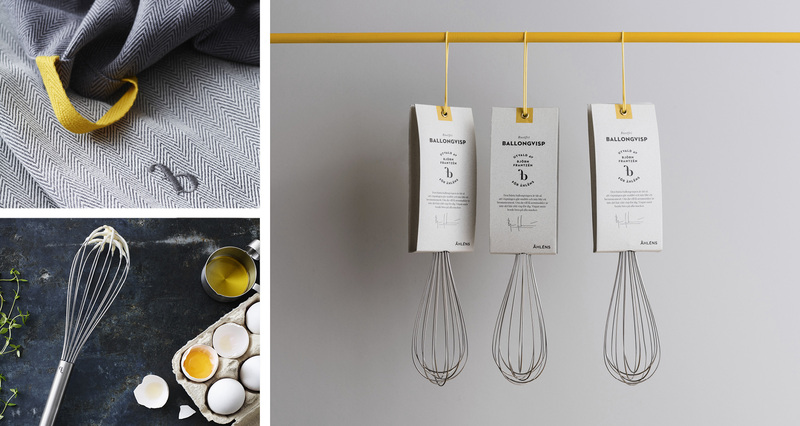 Carefully chosen, tried out and adjusted by Björn. 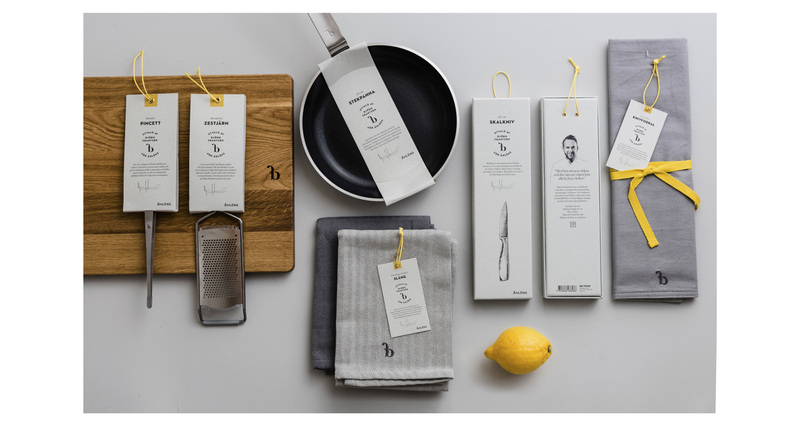 Our work was to create a co-branding between Åhléns and Björn Frantzén. 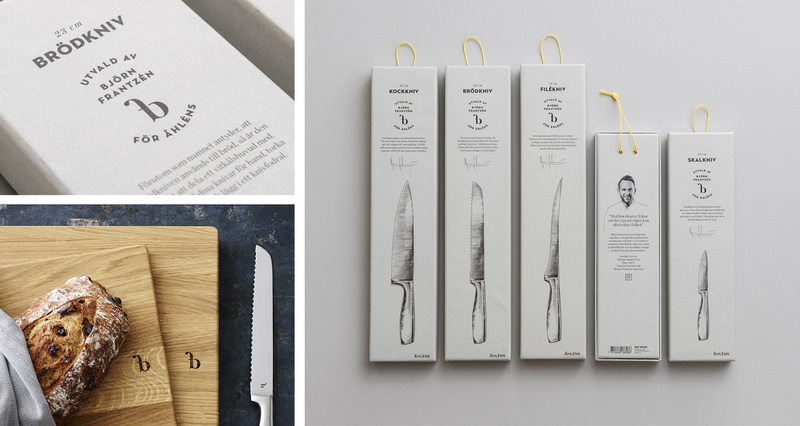 The work includes the visual identity, packaging design (both graphical and structural), textiles and labels.